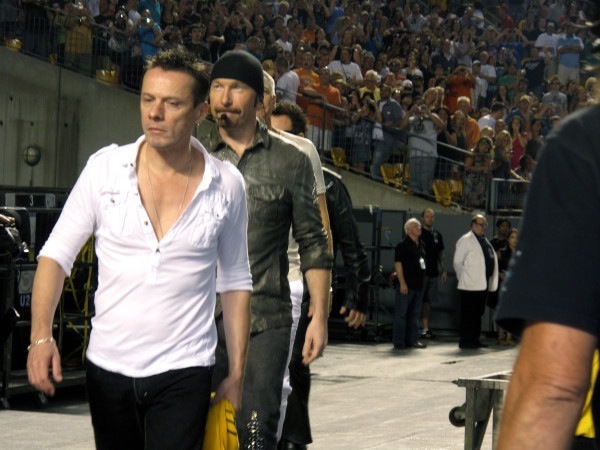 Today is the last show of the U2 360 tour in Canada, but I am not going. The challenge I made to myself was to drive to every US show on this last leg of the U2 360 tour, and I met that challenge. I didn’t want to cross the border several times back and forth with my dogs. The last US show was in Pittsburgh on Tuesday, and it ended in the best way possible – Larry hugging me on his way to the stage! 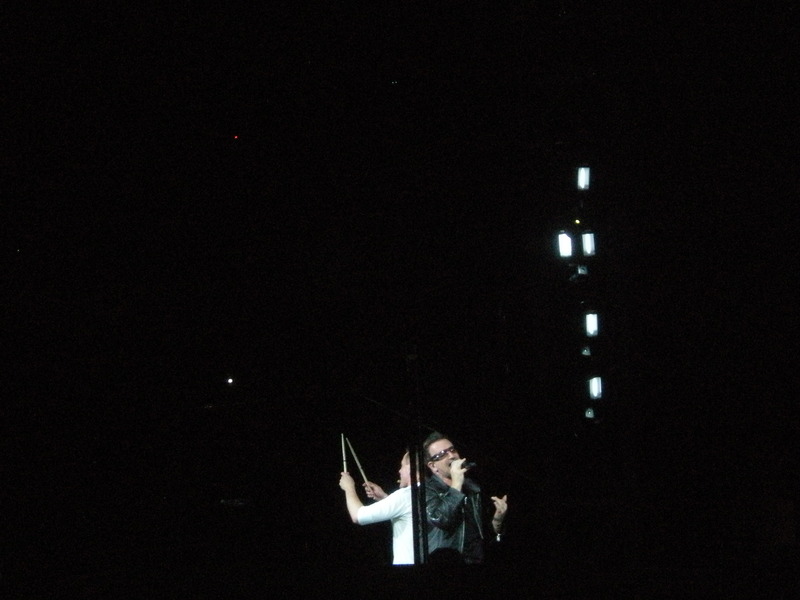 I saw 16 magnificent U2 shows and each had its special moments – and there were many smiles and waves from Larry to me. The Denver show was special because it was the first show, it was the first time I heard Zooropa and Scarlet, and it was at Invesco Field, the home of my favorite Denver Broncos. The Salt Lake City show was special because it was the first time I have ever heard Love Rescue Me – even if it was only one verse. 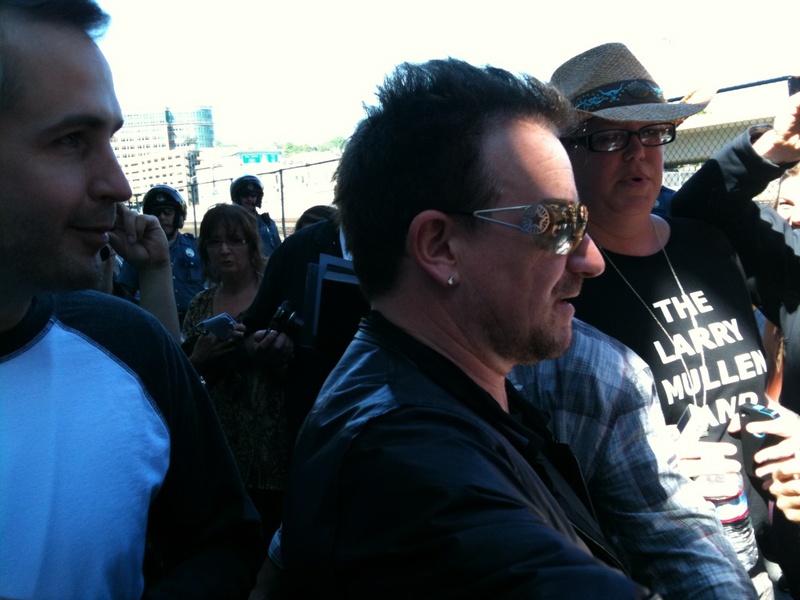 The Seattle show was special because I talked with Bono before the show about meeting Larry and then after the show Larry walked over to me and shook my hand as he walked off stage and to the tunnel. The Oakland show was special because Larry sang a part of Lou Reed’s A Perfect Day. The Anaheim1 show was special because it was the first time Paul McGuinness had ever been on stage. The Anaheim2 show was special because U2 brought back my favorite I Still Haven’t Found What I’m Looking For and completely changed the set list opening with five straight songs off Achtung Baby followed by Streets. The Baltimore show was special because it was the loudest audience, Larry took off his shirt on the way to his car and I got the set list. The East Lansing show was special because it stayed light through Elevation and U2 entered through the bleachers up top behind the stage. The Miami show was special because it was the first time U2 played North Star in the US. The Nashville show was special because it was the first time U2 played The Wanderer, in honor of Johnny Cash, and they brought up a blind guitar player at the end of the show to play All I Want Is You. The Chicago show was special because U2 played Out of Control for the first time in the US this leg and it was the first time I have ever heard One Tree Hill, which was completely spontaneous and the first time it was played in the US since 1987. The Philadelphia show was special because U2 brought back the original version of Magnificent and moved it down in the set list. 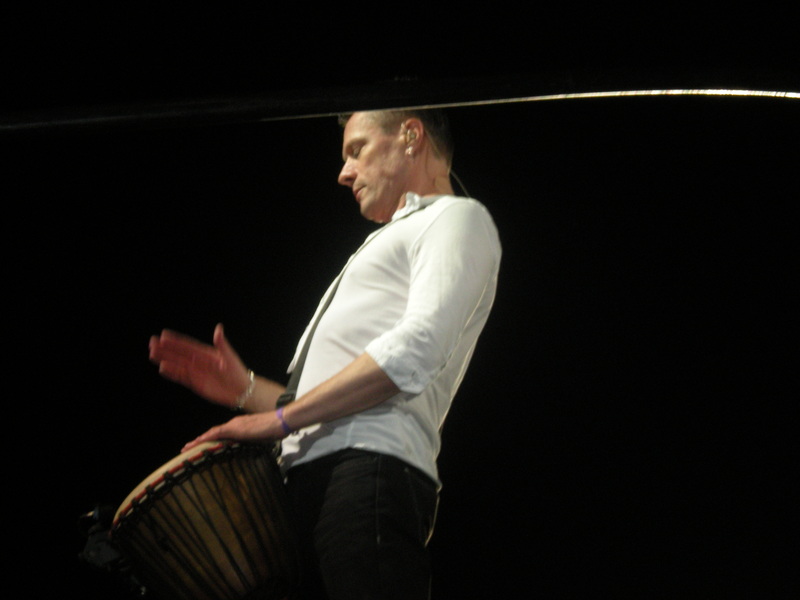 The St Louis show was special because there was a great vibe both from U2 and the audience, and I got a little shout out from Bono about the Larry Mullen Band. The New Jersey show was special because it was the longest show of this leg with 2 extra songs, including Out of Control which ended the show. 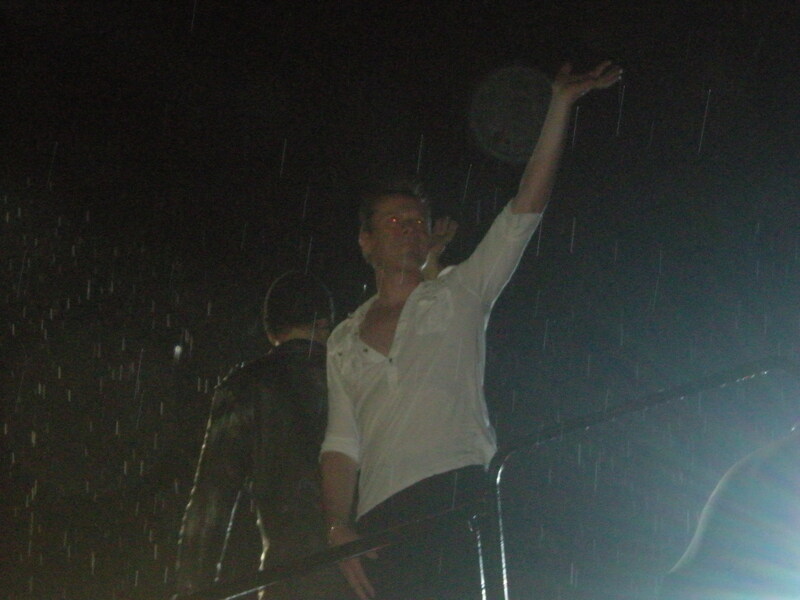 The Minneapolis show was special because it was the only show in the US this leg that it rained – and it was a drenching downpour complete with lightning. There was a fantastic vibe much like in St. Louis. 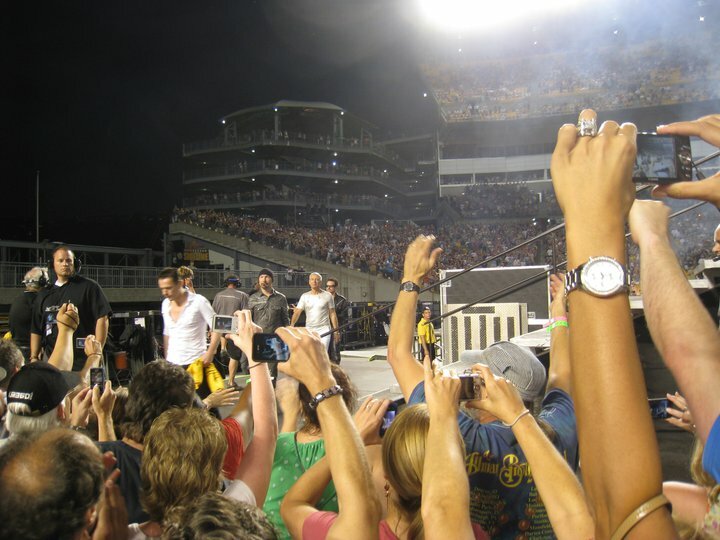 The Pittsburgh show was special because it was the last US show, Larry hugged me on his way to the stage, Matt and Melissa danced on stage during With or Without You, U2 closed with Bad, which was played for the first time in the US this leg. My favorite shows were Pittsburgh http://www.youtube.com/watch?v=Md6eL2aSHFw , Anaheim2 http://www.youtube.com/watch?v=tpIx4WhGxDc , Chicago http://www.youtube.com/watch?v=ucea4oPHfrA , St. Louis http://www.youtube.com/watch?v=C8B-u712OO0 and Minneapolis http://www.youtube.com/watch?v=HYlP9qYGryM . I drove over 18,000 miles through 31 states – some states I drove through multiple times. I drove through and/or stayed in Tennessee, Arkansas, Missouri, Iowa, Nebraska, South Dakota, Wyoming, Colorado, Utah, Nevada, California, Oregon, Washington, Arizona, New Mexico, Texas, Oklahoma, Virginia, Maryland, Pennsylvania, Ohio, Michigan, Kentucky, Georgia, Florida, Indiana, Illinois, Wisconsin, Delaware, New Jersey and Minnesota. I visited Mount Rushmore, Crazy Horse, and Deadwood in South Dakota, Red Rocks in Denver, Temple Square in Salt Lake City, Reno and Lake Tahoe in Nevada, the Experience Music Project and Kurt Cobain’s house in Seattle, Fisherman’s Wharf in San Francisco, Harmony Hotel, Joshua Tree Park and Elvis’ homes in Palm Springs, took a bus tour of LA and Hollywood, visited Johnny Cash’s grave outside of Nashville, Bronz Fonz and Summerfest in Milwaukee, the Football Hall of Fame, and Soundgarden in Philadelphia. 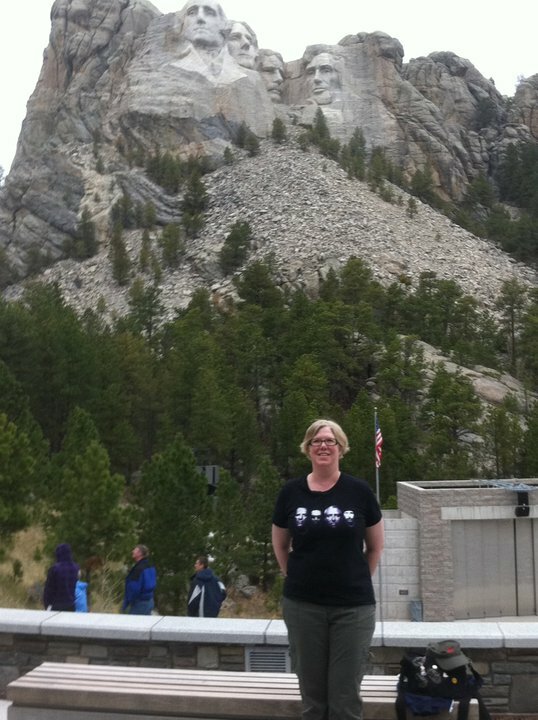 My favorite thing I saw was Mount Rushmore, and my favorite place was Palm Springs. Along with the great U2 shows I went to and the great places I saw, I also made great friends and reconnected with old friends. 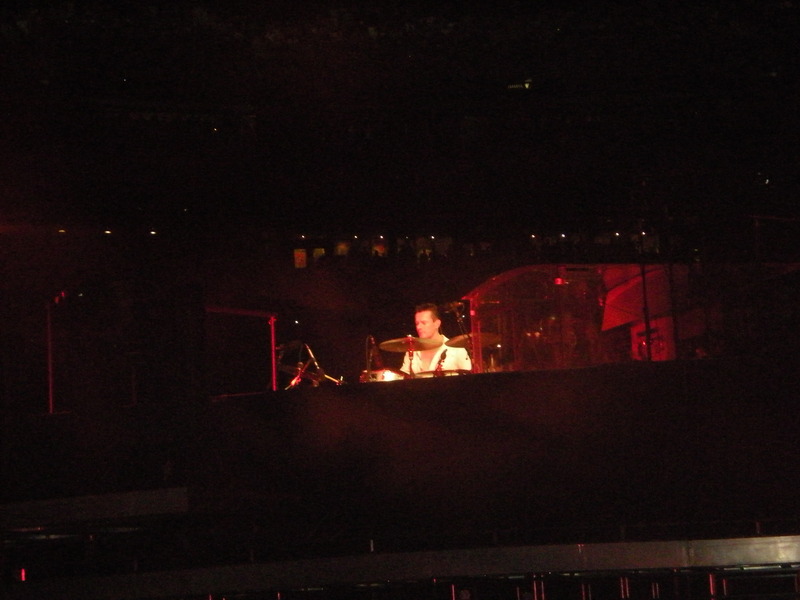 Before I planned to go on this epic 2 1/2 month road trip to every U2 360 show in the US, I was kind of lost – didn’t know what I wanted to do with the rest of my life. 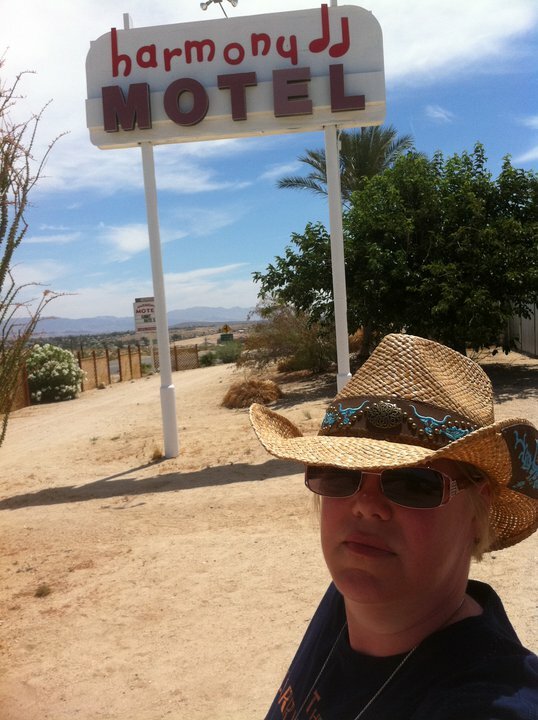 I started a blog to document my trip and share it with others and then decided to write a book about my U2 travels. 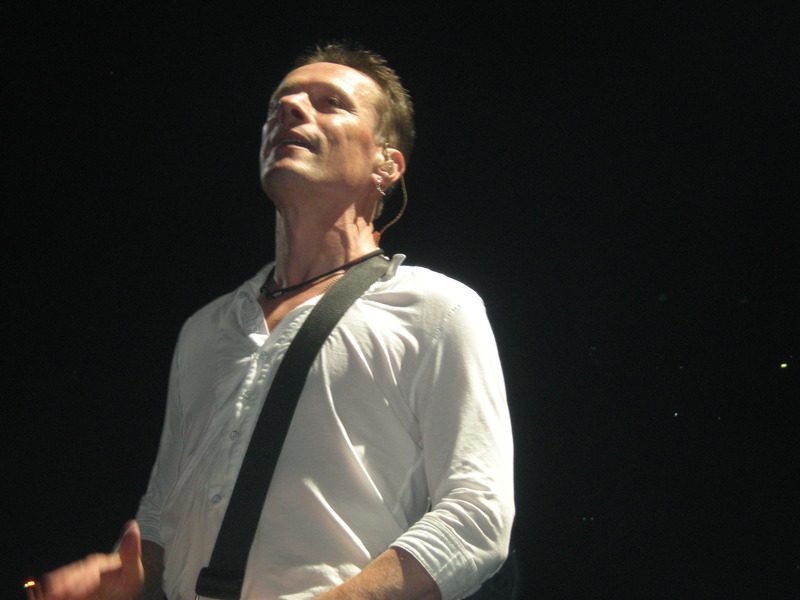 Through my U2 360 tour, I discovered that I loved to write – that I would like to make a living writing. So now I have a purpose, a direction. I am looking for a job writing, and I am writing my U2 tours memoir. I met someone who is going to help me get my book published. 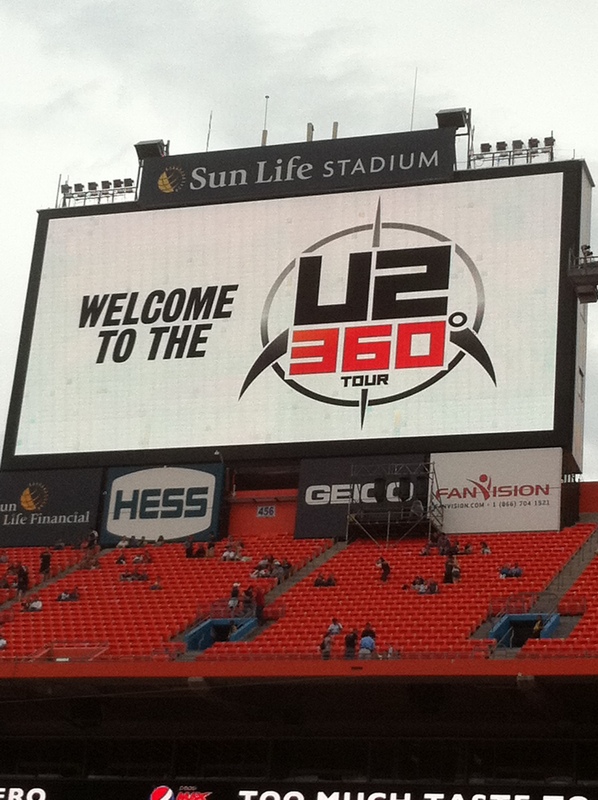 This U2 360 tour changed my life and helped me find what I’ve been looking for. I’ve read all your entries and I’m in awe. You’ve spent a whole summer doing this, driving around the country with your dogs, and spending a huge amount of money (not to mention planning the whole thing). And it ended perfect with Larry’s hugging you. I’m so happy for you! I wish you luck with writing the book (and getting it published) and finding a job doing what you love to do. You are awesome! I was googling footage from the Minneapolis concert and stumbled upon your blog. I love it!! And I have to tell you, I saw you in Minneapolis. Your t-shirt clued me in right away to the kind of fan you were and I took notice so it’s very fun to find you cyberspace. TCF was my first U2 concert and I loved every minute of it. It’s great to read your comments on the different concerts and it thrilled me to see that you ranked the Minn. one among your favs. It was a special night, but since I’ve never been to another concert I thought maybe they were all that electric. Good luck with your writing! Thank you! Glad you like my blog. 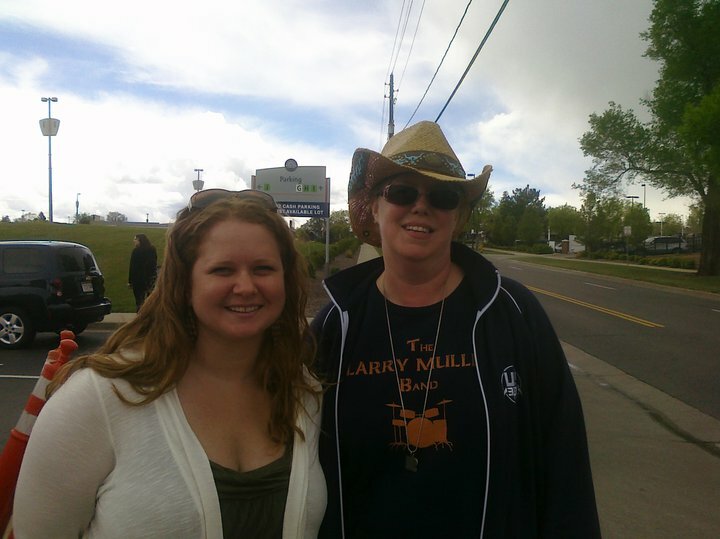 Please reading because I’m starting to post complete detailed recaps of my entire trip and all 16 shows. All U2 shows are electric, but some more than others.